Stephen Cheung is a 27-year-old man with a British father and native Hongkonger mother. Working as a tour guide, which facilitates his major in history, Cheung himself may be a living example of Hong Kong, a city of coexistence of Eastern and Western cultures, tradition and modernity, after 156 years of British colonial rule. “The Old Central Town is my favorite place to introduce to tourists, because it is a unique place where the East and West, and tradition and modernity, coexist,” Cheung said during a walking tour around the area amid a scorching heat wave last month. Located underneath the glossy high-rise hotels and financial buildings, the Old Town Central area is one of the city’s oldest neighborhoods, embracing the East and West, past and present, tradition and innovation, excitement and tranquility. 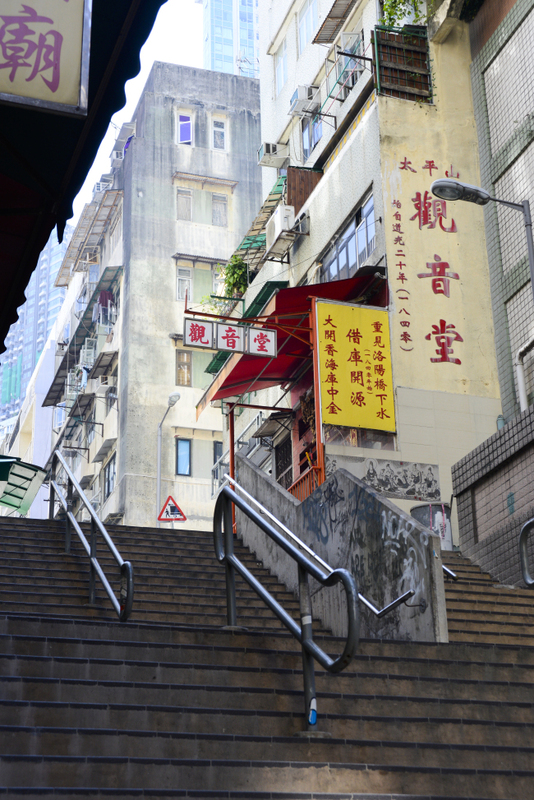 Hong Kong’s contrasting attributes can be found in the history, arts, food and culture of the neighborhood, which is recommended as a good starting point for tourists. The neighborhood is outlined by Wyndham Street, Caine Road, Possession Street and Queen’s Road Central, with Hollywood Road, one of the first roads built in the colonial era, coursing through the middle. Remainders of British colonization still exist in the town, for example, a late-Victorian style edifice that was formerly used as the Central Police Station on the eastern end of Hollywood Road. 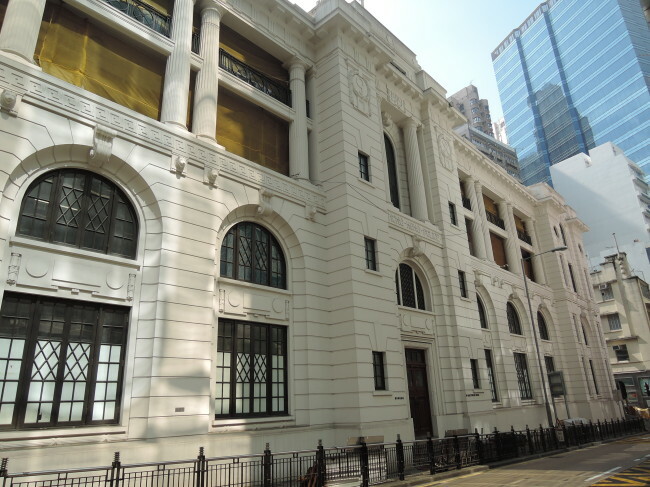 Together with the Victoria Prion right behind the old police station and Central Magistracy, the compound was expanded in the early 20th century with refugees spilling into Hong Kong from war-torn mainland China, which created challenges of law and order. The former police station building, however, is now under renovation to transform it into an art gallery. A few minutes by foot from the police station compound, a dormitory-looking building captures tourists’ attention. It is the Police Married Quarters, which used to offer accommodation for rank-and-file police officers. The PMQ building is now filled with artists and designers who use the rooms as studios and shops selling both traditional and modern artworks. “Works by young Hong Kong artists represent the blending of traditional aspects with modern art trends,” Cheung said. The mixture of the East and West is felt in Hong Kong-style street food. 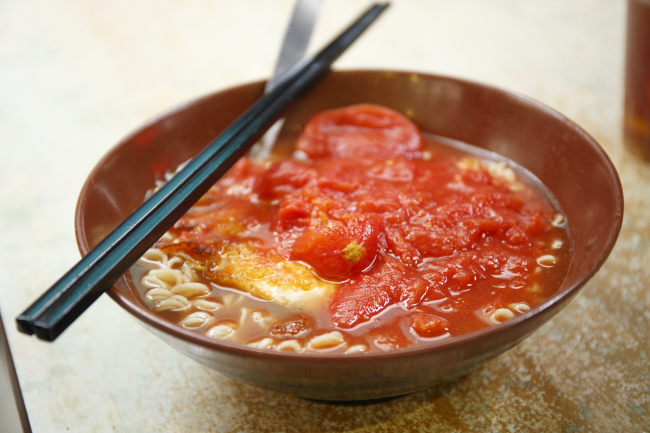 Try a bowl of tomato soup-based macaroni at Dai Pai Dongs, which are open-air street stalls. 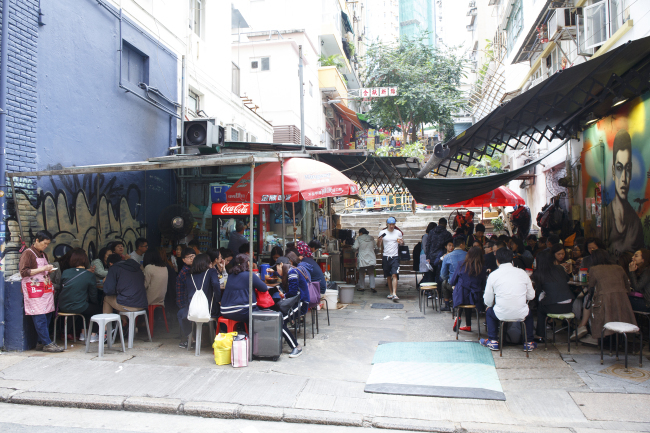 Sing Heung Yuen, near the PMQ building, is one of the most popular open diners serving various tomato-based noodles for locals on shared tables. 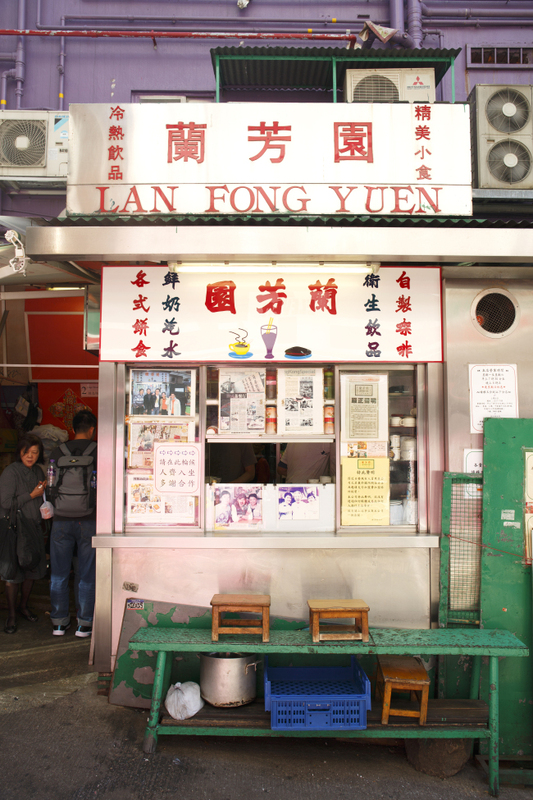 For dessert, Hong Kong-style butter-flavored egg tarts with short crust pastry at Tai Cheong Bakery and milk tea at Lan Fong Yuen offer a richer flavor than the British tea using fresh milk are highly recommended, Cheung explained. 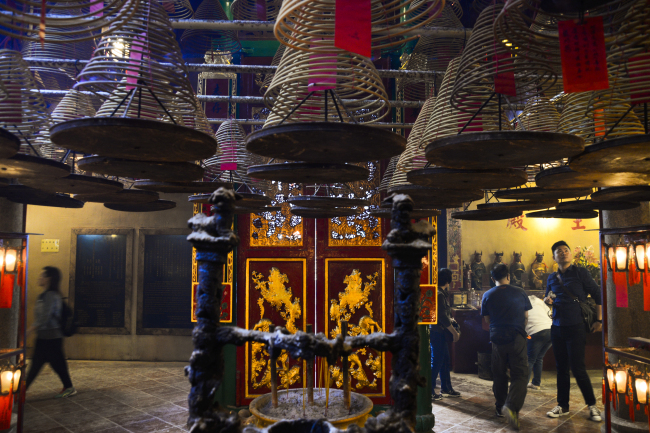 For those who want to experience some of the Eastern cultural attributes in Old Town Central, Cheung recommends visiting the Man Mo Temple -- which has giant hanging coils of incense -- that stands beside the hectic, modern financial district. Built in 1847, the temple remains the largest in Hong Kong. Man refers to the “god of literature,” while Mo refers to the “god of war.” The two gods are represented by a large writing brush and a spear at the temple. Both are worshipped by students looking to succeed in state examinations to become government officials. Visitors can have their fortune read for free. Stand in front of the altar, ask a question, select a small bamboo cylinder, and shake it until one or two sticks fall out. The number on the stick corresponds to a written fortune.